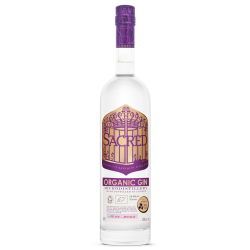 Ian decided to put his own twist on gin production by using vacuum distillation rather than a traditional pot still, and experimenting with different gin formulas. He took his gin creations to the local pub for people to try, and they determined that his 23rd recipe was the unique gin Ian had been looking for. It contained 12 botanicals including Boswellia Sacra - hence the name, Sacred. Sacred Spirits was founded by Ian and his wife Hilary in 2008 and is now a multi-product distillery producing gins, vodkas, whiskies, vermouths and aperitifs, while still remaining a small independent business passionate about combining innovation with great taste. 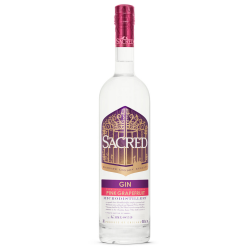 Sacred Gin have won awards all over the world, including 'Best Gin for Tonic' at the Craft Distillers Awards and a Double Gold Medal at the San Francisco World Spirits Competition for their Sacred Gin.